Buddhist philosophy offers us a conceptual model to deconstruct the individual into the constituents or components that make up his being. Outside these five components there can be no individual and to remove them would be to demolish the individual being. Since this model deals with the nature of being, then it is a concept that comes under the category of ontology, the philosophical study of being. So now enter the Skandhas, of which are a core concept in Buddhism. The concept is also known as the five aggregates that make up the personality or the five clinging aggregates. As for the word Skandha, it means heap or mass. The entire concept, I think, should be designated as ‘the Skhanda model of being’ to remind us this is an ontological model in philosophy and also to be verbose to the ever-growing philosophical jargon on the net! Alright on with it to define the aggregates of the Skandha model of being. The sense-organs of the body allows us and other organisms to react to the impressions of sense-objects. As we know, the body has its own special class of needs. It needs nutrition to repair and sustain itself by providing energy and it needs water to maintain its internal environment such as temperature and blood pressure levels and to provide the medium for metabolism to ensue. Being deprived of these comes our sensations of hunger and thirst. The body of a living being is never fixed, but changes through the progression of time. The body comes into being through birth and is then subject to developmental growth, renewal (wound healing), sickness, aging and decomposition come death. With this we can conclude that the body is subject to impermanence. The affective tone of our experience when our sensory faculties come into contact with the external environment; in other words raw sensation. A fragrance sample featured in a perfume shop to a rotten egg strewn on the pavement will elicit different sensations from their chemical odours in us. Positive or pleasant sensations motivate us to pursue the sense-object with the possibility that an attachment formation will come of it. But on the other hand, negative or unpleasant sensations motivate us to give distance away from the sense-object with the possibility that an aversion formation will come of it. The sensations we receive from a sense-object is important in influencing our behaviour towards it but ultimately behaviour is in the province of the volitional formations aggregate. With this we can conclude that our feelings are subject to impermanence. The identification or recognition of things through their distinctive marks and features. My take would be the ability to assign essences to sense-objects. It’s a simple concept to grasp, we can identify friends, enemies and strangers. Perceptions change depending on where we are. Different climates, different terrains, different locations are always assailing your senses with differing sights and sounds or perceptible objects. New identifications, new recognitions through familiarization of sights and sounds pertaining to those environments. At one moment in your life you find yourself in the four walls of your house which is your realm of perception in that moment and then suddenly you leave the house to go outside and find yourself in a different world bombarded with different perceptible forms, sounds, odours, tastes, tactile objects and mental phenomena. You know it to be so because you discriminate between the recognition of one thing from another. With this we can conclude our perceptions are subject to impermanence. The Volitional formations aggregate governs our faculty for wilful and intentional actions. This is something which the feeling and perception aggregates have no power in. It also includes our morality. Since willpower comes under our volitional formations. Then wholesome and unwholesome actions can only manifest because of our willed intentions. These wholesome and unwholesome actions are (not surprisingly) called karma and it is this aggregate the volitional formations, which are closely bound up with karma. The consequences that come about because of your actions or karma is based on your wilful intentions. To digress a bit, the will to power concept which is the brainchild of Friedrich Nietzsche is defined by Wikipedia as “achievement, ambition, and the striving to reach the highest possible position in life.” As the name suggests these acts are all based on volition and if you nullify volitional formations you nullify the will to power. With this we can conclude that our volitions are subject to impermanence. Consciousness does not ascribe essence or give descriptions to sense-objects that is the job of perception. Consciousness instead is the raw awareness. The awareness that allows us to know of the other four aggregates. I look up into the sky and am aware of a sight. It is only then after awareness that I can perceive it to be an eagle. To clarify all this, Name-and-form or Namarupa is better understood as mind (name) and body (form) because another word for this is the psycho-physical organism. So in other words, take away mind and body and you negate consciousness. With this we can conclude that our awareness is subject to impermanence. Each of these aggregates that make up an individual self are all subject to impermanence. They are not shielded from change but always in a state of flux. Just like we cannot expect a balloon in the wind to stay still so we cannot expect ourselves not to change. Change happens upon us whether we are conscious of it or not and whether we approve of it or not. It is in the nature of each of the aggregates to change, though in their own particular way as explained above. As this first passage said, the Skandhas are responsible for constructing this sense of I and as a consequence of that, our sense of what is mine. Appropriation refers to possessions, property and what is mine, bound up with the sense of I, with a selfhood. However, for possessions, property and what is mine, cannot be owned by the self when the sense of I is negated. Not necessarily selfhood negated to meaning death, but to meaning potential objects as being possessions and property not attached to any of our sense of I or the five aggregates. In other words, in order for a thing to be desired in the first place, to change from a non-desirous thing to a desired thing, is to first perceive, feel, and have volitional formations about it which then finally manifests into desire. You can’t desire anything in the world without first coming into contact with it. With this initial contact there is forged a process and a relationship born from your pleasant perceptions, feelings and volitional formations about this object of desire. This aforementioned process and relationship is the attachment to the object of desire. Without the components the Skandhas describe to form the sense of self there can be no identity, no sense of ‘I’ to cling and lay claim to possessions. Following from the notions of selfhood it begins to make sense why the Skhanda model of being is also known as the five clinging aggregates. The five aggregates that make us up are subject to desire and lust. This desire and lust in pursuit of the aggregates is why it’s known as the five clinging aggregates. So can clinging be for either one of them or all of them? Pray tell, how can this be so? 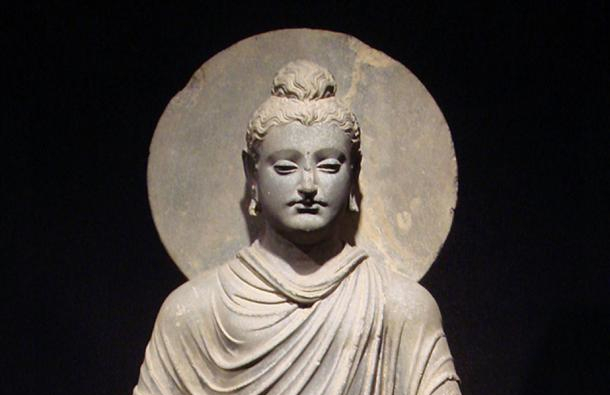 The Buddha, in reply to the same question posed by his monk, illustrates why. May my body be healthy and free from affliction! May I feel wonderful sensations from this meal! May I perceive wonderful new sights and sounds on abroad or abounding my new home! May my actions studying at university get me that job! May my consciousness be free of mental perturbations! Hope raises you so high, only to be dashed against the rocks of a world allowing disappointment. With that being said, through the consequences of being made up of these said aggregates, we have the capabilities to experience suffering. Without these aggregates that make up the identity then no evils of suffering can happen; no suffering because there is no self to experience suffering! That form, feeling, perception, volitional formations and consciousness are impermanent and subject to change makes them bound up with the possibility of future suffering. On the form aggregate I can give an example, someone can have a healthy body and at present times is not afflicted with any diseases be it acute of chronic. However, that trend may well change in the future, though the future is uncertain, that healthy body of theirs may be afflicted with acute and/or chronic diseases. The removal and abandonment of desire and lust from all five aggregates, Buddhism says, leads to the cessation of suffering. Though I do not think there can be everlasting freedom from pain when it comes to the body at least, it was once said that pain + resistance = suffering. So you may experience pain from the body but not suffering, though medical science can do quite a bit to remove corporeal pain. Have you ever reunited with a friend after 5 or 10 years and noticed how they have changed? Not just in body but also in personality? Well the Skhanda model of being, after all that has been discussed about it, describes us not as beings that are immutable, unchanging and fixed but as always in the process of change, development and subject to impermanence and through the progress of time, with the aggregates always in a state of flux, there is no permanent self and that is what makes you, you! So if you know someone who believes the self to be fixed, tell him that the self is flexible and show him this model to challenge that preconception!